EA Sports' label head predicts that the future of gaming will be away from TV and will play out across mobile devices and social networks. The next generation of platforms, Andrew Wilson told CVG, will be about how EA engages gamers while they are "away from the television". "What part your iPhone plays in the overall experience, what part your tablet plays, how you rally an entire community on Facebook to do things that help you when you get back to your console experience," he said. Wilson said EA has worked "diligently" to prepare for the convergence of technologies and service that it sees on the horizon. That convergence begins with the 'second screen', which games companies have been placing huge emphasis on the lately. At the E3 expo in LA earlier this month, Microsoft announced Xbox SmartGlass, a free app which allows users to control their Xbox using touch devices. 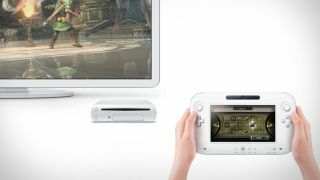 Nintendo's upcoming Wii U console includes a tablet-like controller that can be used to play games when the TV is occupied. And Sony's PS Vita is also cross-compatible with PS3 games, such as WipEout HD. A recent report by Nielson showed that Americans do the most second screen viewing, with 88 per cent of tablet owners and 86 per cent of smartphone owners saying that they do so at least once a month. However, the hardware is beginning to materialise, but that doesn't mean the games will be there to support it yet. Commenting on Microsoft's new SmartGlass technology, Screen Digest's senior analyst, head of games Piers Harding-Rolls's said: "While SmartGlass may play in the Wii U's competitive landscape, the fact is that enhanced games content offered on the second screen will rely on publishers and developer initiative, and unlike the Wii U, this will be entirely optional."